So now we know what kind of food they serve in heaven. It’s for surely gotta be sweet potato curry, for surely for sure. There just cannot be anything else. I’m not just talking about just any old curry -> I’m talking about the kind of curry that hits that perfect spot between silky-creaminess and fire-breathing flavor all in one sweeping, saucy bite. 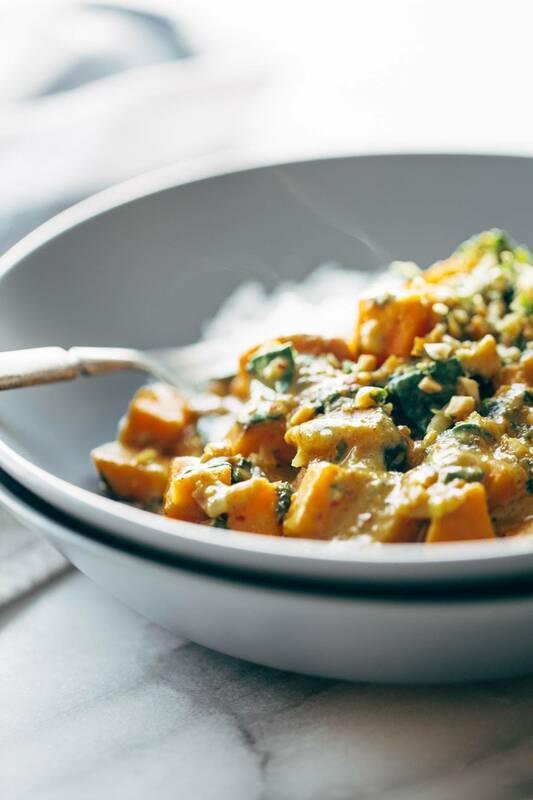 For example, just off the top of my head: Creamy Thai Sweet Potato Curry that can be made in about 20 minutes and that just makes your heart sing for joy when you remember that you have at least 3 servings of it left in the fridge and you are about to win big at Leftovers Lunch. There is not one single thing I don’t love about this type of food. I am naming this the official recipe of Pinch of Yum Winter 2016, at least for a hot second until next week when I come up with a new obsession to latch on to because THAT’S MY JOB GUYS. And thankfully, latching obsessively onto foods is something that I’m unusually good at. I think they call it GIFTED. 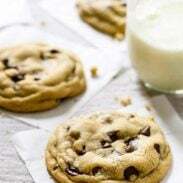 You know those recipes that you make once, and then you make twice, and then suddenly a week has gone by and you’ve really only made that one same recipe and you realize that you’re either a boring person for making the same thing over and over again or (more accurately) a winner for knowing which recipes are worth your time? Store bought red curry paste works just fine in this recipe. It’s how I started making it, actually. But then I did something that ended up being magical: I started adding a spoonful of homemade yellow curry paste in with the store bought red curry paste and BOOM! Flavor explosion. Maybe it’s all in my mind, but probably not – the curry paste combo is just epically delicious. You laugh now, but we’ll see who gets the last laugh here. WE’LL SEE. You are not intimidated by curry-paste-making. In which case you are probably too advanced to be reading this blog. You are semi-intimidated by curry-paste-making, but you are intrigued. Friend, you are the perfect middle child that I seek for this assignment. I so strongly encourage you to try your hand at making this adapted, familiar-ingredients version of homemade Thai yellow curry paste. Keep that jar of golden love close at hand because it will go on to gift you many batches of fragrant, cozy curries all through the winter with just the swish of your spoon. I am very, very excited for you. Voila! Look at you, Curry Master. Start your rice, if you’re serving this over rice (highly recommend)! Heat the oil over medium high heat. Add the shallots and stir fry until soft and fragrant. Add the sweet potatoes and stir to coat with oil. Add the curry paste and stir until well-combined. Add the coconut milk and broth and let it simmer over low heat for 10-15 minutes until thickened. Stir in the spinach until wilted. Add half of the peanut/cilantro mixture; reserve the rest for topping. Add a quick splash of fish sauce to the curry to make the whole thing just sing harmony in your mouth. Yummy. Serve over rice, topped with remaining peanuts/cilantro. For some reason, I am loving the taste of combining red curry paste and yellow curry paste in this! I’ve made it with both strictly red and strictly yellow and they’re both great as well. If you are a curry lover, PLEASE PLEASE PLEASE make yourself some homemade yellow curry paste. It’s amazing. This recipe uses familiar ingredients and works perfectly for quick last-minute batches of curry if you keep it in the freezer! For vegetarian/vegan option, just double check that your curry paste is compliant or make your own. Also, obviously, omit the fish sauce. Nutrition is for 1 out of 5 servings, not including rice or fish sauce. I could totally eat this every.single.day! There’s something about a big bowl of curry that’s SO comforting! YELLOW CURRY PASTE IS MY LIFE. That is all. Seriously though, I just bought a HYOOGE jar of it on Amazon to make ALL THE RECIPES. I guess I could have just been awesome and made it myself though. Anyway. This curry. it is heaven in my mouth and I need it NOW. Pinned! Oh my goodness, I’ve never even had curry. I get all weird about making it! IT’s like c’mon Laura curry is good for you and high in protein. And sweet potatoes are hoppin’ good for you too. Just make plans for Spring break and that bathing suit is gonna have to come out! Time to join the YMCA (sing with me please) and make sweet potato curry. Wow, this is perfection in a bowl! I love everything about this and it’s now my mission to make my own curry sauce! Yeeeeees. That’s all I can muster. Yes, PLEASE!! This is my kind of dinner. And will likely be dinner tonight… and tomorrow! Thanks for the recipe! 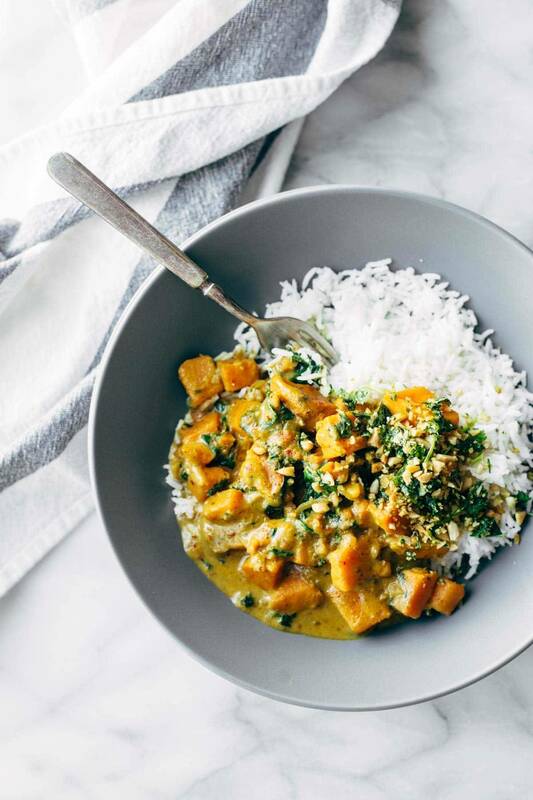 I am curry obsessed and I can’t believe I’ve never made sweet potato curry! This looks delicious and I have to make it soon. Thanks for sharing! I’m obsessed with sweet potatoes and this looks AMAZING. I love how the potatoes are the bulk of the meal, rather than meat in other kinds of curries. Healthy, warm, cozy… everything I look for in a winter meal! Can’t wait to try this! I’ve never had curry with sweet potatoes before, but I love the way the colors pop with the white rice! 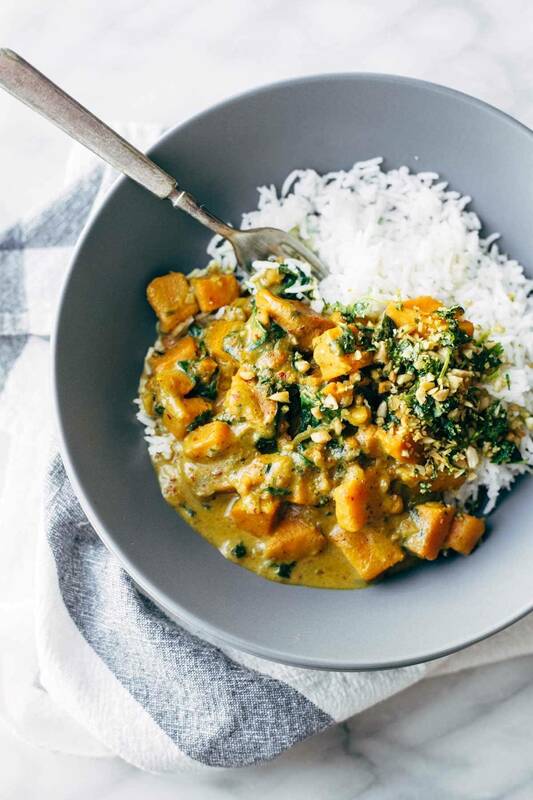 You use “creamy” and “curry” in one sentence, and I’m all yours 🙂 This sounds like just the type of comfort food I’ll be eating once I get off my “smoothie-detox-whatever” I’m currently in the middle of 🙂 This recipe sounds delish! I keep unsweetened coconut milk in my house. Can I just use that instead of the can of coconut milk plus water? I love curries! This one sounds so quick and easy. 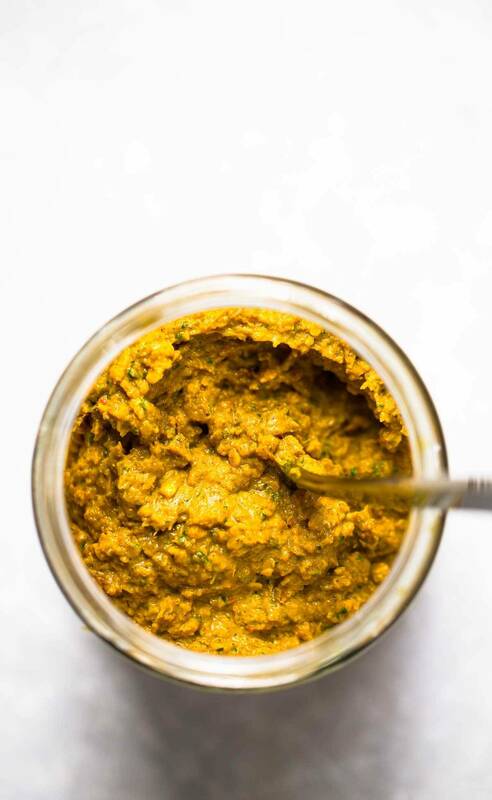 I’ve made homemade green curry paste and it was totally life changing so I definitely need to try your yellow version! Sounds delish and I’m making this for supper tonight! Does the nutrition info include the rice? (so I can accurately track calories) thanks! This recipe speaks to my heart. I love sweet potatoes and I love curry but i’ve never though to combine them. 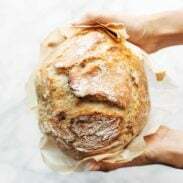 Can’t wait to make this one! Also, who was the cute dog you were running with this morning on snapchat? Does Sage not do cold morning runs? Have you ever made lemongrass paste? I want to make the yellow curry but I have been to every grocery store and none carry it! Sorry to hear that, Robyn. I have directed a few other readers to this recipe for homemade lemongrass paste: http://www.marthastewart.com/339045/lemongrass-paste. It would be extra time and effort to make, but it would certainly work well in the recipe. Otherwise, you can definitely find lemongrass paste on Amazon. Awesome! Thanks for the feedback, Robyn! Love the video! It looks so simple to put together. You had me at creamy Thai. Such a perfect weeknight dish!